Wishing you all a very Merry Christmas fellow ETT'ers! I hope you all get the chance to enjoy time with your family and friends with lots of fun, food and festivities. 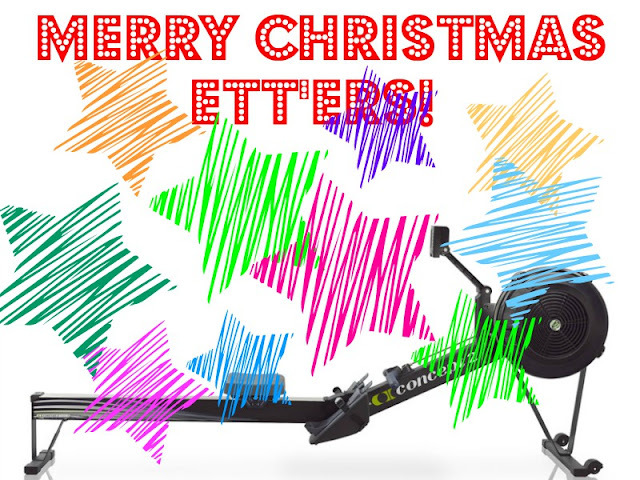 It has been a fantastic year rowing with you all this year, ETT wouldn't be the team it is without the camaraderie and support of such awesome team mates. Did you manage to reach your 100k or 200k Holiday Challenge? I just managed to sneak into the 100k today and hastily uploaded my metres today to qualify for the certificate and contribute to the charities selected by C2. Happy Holidays ETTers - I struggled to get into the 100 km first time in years I have missed doing 200 k. Still looking forward to contributing a few metres to the Virtual Team challenge with you all in 2018 ! Nice to hear from you Diggy! Well done for achieving the 100k sometimes life gets in the way for the 200k! Looking forward to rowing with you in January! Nice one Jim! Well done for hitting 150k. That's a great achievement!